Update: Users are reporting problems with the SoundSport Wireless during “heavy sweat” workout sessions. Bose says it will replace any units that have an issue and that all future headphones starting in August 2016 won’t have the defect. Bose isn’t the first in this new class of Bluetooth-powered wearables, but it’s gunning to be valedictorian. It takes only a few minutes to figure out the two biggest advantages of the Bose’s SoundSports. The first being that they are ridiculously easy to set up, and second is the sound. The right ear houses the power button (along with the charging port). Press the button, make sure your phone’s Bluetooth is on, and that’s it. If that’s too hard, there’s even NFC pairing through the headphone’s in-line remote. Also on that in-line remote is a button to skip tracks, adjust volume, and answer phone calls. Other than the occasional Bluetooth lapse, the SoundSports sound incredible—rich bass with a crisp high-end all packed in a surprisingly lightweight design. On most of my workout sessions and commutes, I blasted Drake’s Views and Chance the Rapper’s Coloring Book and the experience was almost as good as if I were wearing my trusty Sony over-ear headphones, though I did occasionally miss that thick, skull-rattling bass earbuds always fail to provide. For testing, I compared Bose’s audio quality to Jaybird’s new Freedom wireless headphones because of its similar fit and price (Jaybird’s are $50 more actually). Bose shines in the low-end, with throaty and richer bass notes. They’re also significantly louder than the Jaybird Freedoms, and a volume-optimized EQ helps keep tracks from peaking. The SoundSport’s inline controller is also much more lightweight, mainly because most of the electronics are housed inside the earbud instead. But sound hasn’t really ever been Bose’s problem. Instead, it’s been mostly accused of lots of other things, like uninspired design. With the SoundSports, Bose keeps things relatively simple with a mixture of rubberized plastic (to keep water out) and glossy accents. For those who want to make more of a statement with their ear gear, Bose’s alternate colors—yellow and electric blue—likely don’t go far enough, especially when compared to other slick buds from JLab or Jaybird. But the Soundsport’s design shines through when it comes to comfort. Bose uses a more traditional in-ear design to secure the earbud in your head. 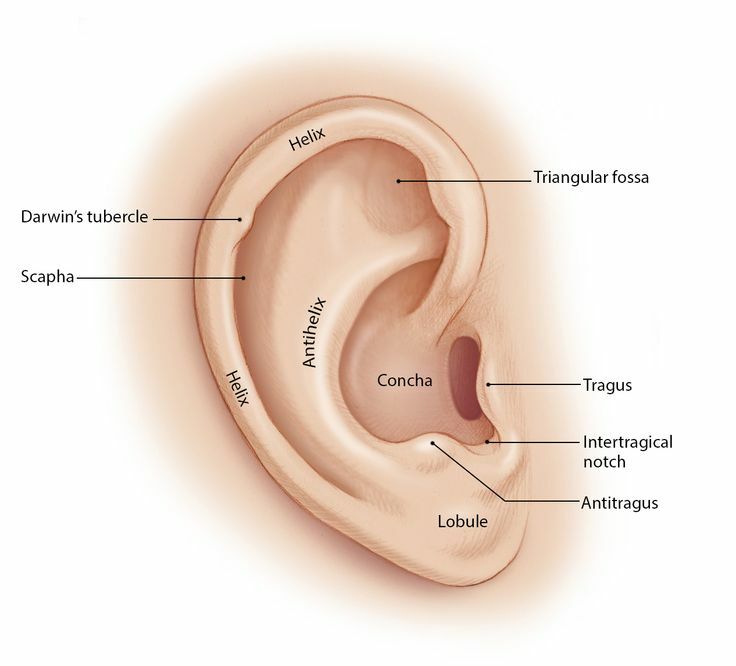 There are no loops around the ear or noise-isolating buds entrenched in your ear canal. Bose also includes three sizes of ear molds—not as customizable as the Jaybirds, but there’s still a good chance that you’ll find the right fit no matter how run-of-the-mill or weird your ears might be. These buds are not built to be discreet. Despite holding its own against the competition, I wouldn’t recommend Bose’s SoundSport headphones as a replacement for your everyday earbud. Although they’d certainly get the job done from an audio point of view, that 6-hour battery life kills any convenience of wearing these for long stretches. If you were thinking about those HR-enabled SoundSports (called SoundSport Pulse) launching in fall, the battery life drops down to just 5 hours (though it’s still one hour more than the Jaybirds). Also, when you’re charging the earbuds via microUSB, they don’t work so you’re completely out of commission until they’re juiced back up. It takes about 2 hours for a full charge. Bose has anticipated these battery problems and created an external charging case, specifically designed for the SoundSports. But that handy accessory will cost you an extra $50 for headphones that are already on the expensive side. 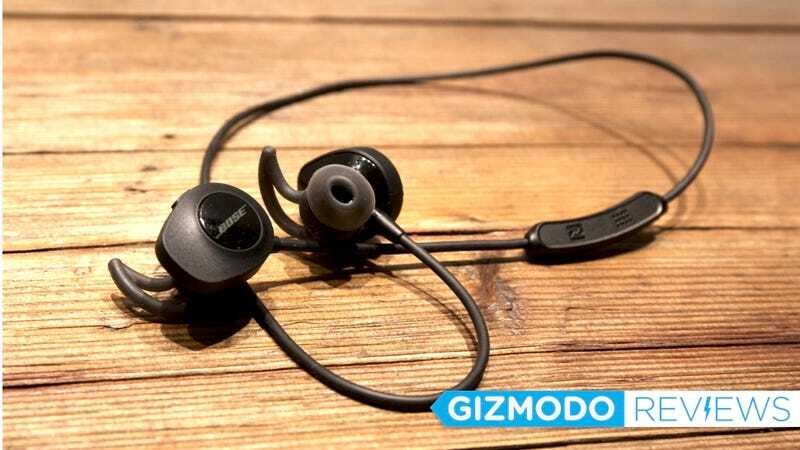 Turns out the best place for Bose’s SoundSports are in your gym bag. They’re great for the hour or two while you’re hitting the gym or going for a run but not if you’re looking for an all-in-one earbud. $150 is not cheap for headphones that likely won’t be your main piece of listening gear. If your heart is set on Bose, the forthcoming QuietControl 30s, with adjustable noise canceling and longer battery life, could be a better fit for that particular job. But if you want great sounding jams while you get fit, the SoundSport wireless earbuds are worth the listen. Super comfortable and really amazing sound with great bass (for earphones), especially helpful since I’m currently on a Drake kick. No noise-isolation or noise-canceling, arguably the best tech Bose implements inside its headphones. While not the most expensive headset out there at $150, not a great fit for people buying on a budget.